On the lookout for pvcu window fitters in Lincolnshire? Our upvc double glazing contractors in Lincolnshire are able to offer you the best quotations to have A rating replacement windows fixed in your property. The installation of double glazed windows in your house will take less than one day, creating minimal stress and disturbance. Specialist double glazing providers in Lincolnshire will measure your windows and match the glazing, instantly saving you money on energy costs. Double glazing is designed to save by retaining heat in your house. Keep in mind that you'll make fantastic energy monthly bill and co2 emission savings with A ranked upvc double glazing in Lincolnshire. We'll provide you with no obligation quotes from businesses in Lincolnshire who will be equipped to offer you free surveys to work out the cost of upvc double glazing and help you start making savings today. You may then contrast these quotations and see the best replacement windows prices. Lincolnshire is ranked as the 2nd biggest county by size in England, although with a population around one million; it delivers a low population density of about 380 individuals per square mile. The East of England County belongs to both the Yorkshire and Humberside, and East Midlands region. Other than the areas of Lincoln and Boston, the county doesn't have any significant urban areas, though holiday spots including Skegness have grown to be more popular with time. For any home upgrades you will need for your Lincolnshire house, make sure you check quotations from respectable businesses nearer your home. Double glazing is a great investment if you would like lessen bills and keep your own home warmer all year round. New windows are rated from G, the very least efficient, to A, the most efficient. The more efficient your windows the more you'll save. Get the best replacement windows businesses in Lincolnshire through the use of Quotatis to check quotations. 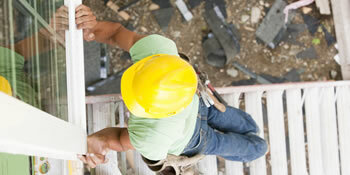 You can be certain of getting a reliable and trustworthy firm to finish the work. Very expensive, salesman was looking like n amateur. Good quality,salesman with good product knowledge. Gave me a appointment time and date then rand back up and told me they could now not attend this appointment. Typical sales pitch where first price is knocked down to a today only offer. We noted 13,912 requests for property enhancement quotations in Lincolnshire. Of these quote requests the number of upvc double glazing quotes (type: A graded upvc double glazing, brand new home windows, replacement windows and so on..) was 120. Quotatis were in a position to fit these consumers with up to 4 ideal installers who were available for work in Lincolnshire at that time. Request a free home survey from reputable companies in Lincolnshire. There are lots of types of home around the United Kingdom for people who have various family sizes and yearly incomes. The most popular houses is typically terraced homes and semi-detached properties, largely due to the fact they're more affordable and easier to fit into areas including cities where space is restricted. Other kinds of house in the UK include detached houses and smaller scale houses including bungalows and flats. It's important to increase the value of the house and improvements are the best way to do this, whether it's with the installing of a conservatory or simply cosmetic changes. No matter what the work you need completed on your own home, look at quotations from trustworthy companies making use of our easy and quick service. Most homes around the United Kingdom are going to have a central heating system of some kind, no matter whether it's gas, oil or perhaps a biomass fuel. If you don't have a central heating system, you most likely make use of heaters to keep warm, run by electricity. Switching to main heating will likely be a lot more efficient for your property and you can save hundreds of pounds on a yearly basis. View below how many properties are central heated in Lincolnshire.